Located in North East Spain, Barcelona is the capital of the Catalonia province and the largest city on the Mediterranean Coast. This unique destination has a fantastic combination of history, culture, shopping, beautiful buildings, incredible nightlife and kilometres of sandy beaches! 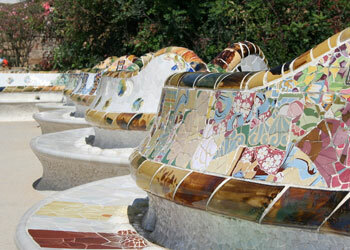 Barcelona is simply wonderful cosmopolitan and one of Europe’s most beautiful cities. Whatever your tastes, you will find it impossible not to love this city! The influence of Antoni Gaudi evident throughout Barcelona and the famous Park Güell, Casa Batllo’ and the still unfinished La Sagrada Familia are absolutely must see attractions during your stay. Stroll through the narrow streets of the Barrio Goticio, the medieval heart of Barcelona and experience an extravaganza of light and sound at the magic fountain of Montjuic and anyone with an eye for fashion and passion for shopping will appreciate the designer shops of Paseo de Gracia. Sporting tradition is taken very seriously in Barcelona and local people are understandably proud of the range of sporting legends associated with the city, even for non-football fans, a visit to Camp Nou, home to FC Barcelona can be an exhilarating experience. Taking a Spanish course in Barcelona means that you will have the opportunity to learn Spanish right in the heart of this amazing city! Our school in Barcelona is housed in a modern building built specifically for language teaching and equipped with the latest technology. Its fantastic location in the central Eixample area of Barcelona, with its many fabulous shops, bars, restaurants and cafes makes it just a stone's throw from the city’s main attractions, including the Plaza Cataluña, Barcelona's true heart, where many of the most important streets meet. Our school offers excellent facilities for students, including 50 spacious classrooms, all equipped with audio-visual facilities, a computer lab with free Internet access, a well stocked library and a fantastic spacious terrace. 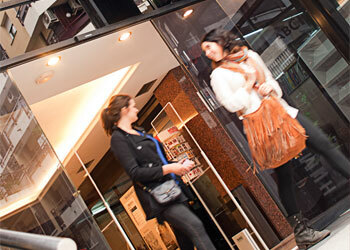 The school is well-established, guaranteed in its quality by the Instituto Cervantes. 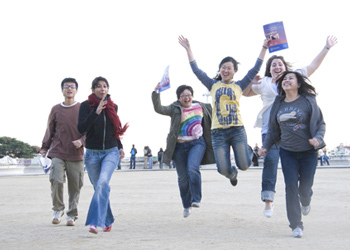 Our school in Barcelona offers a wide range of courses suitable for students of all levels, from complete beginner to advanced learner, with start dates available almost every Monday year round. Lessons are taught in standard 'Castillian' Spanish. Each lesson lasts 55 minutes and with a maximum of 10 students per group and an average of just 6, you can be sure to make fast progress! Our group courses in Barcelona are a great option for anyone trying to improve their understanding of Spanish and confidence in using their language skills. The programmes are very flexible and you can choose between an Intensive course (20 lessons each week) or a Super Intensive course (25 or 30 lessons each week), which is great if you only have a short time to improve your Spanish. For extra in-depth tuition, Private lessons are also available, allowing you to also customise your programme or focus on specific areas of the language to improve upon. 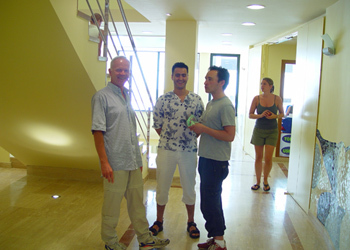 These one-to-one Spanish lessons with your teacher can be booked either on their own or in addition to a group course. For those wanting to take the DELE exam, our school also offer a DELE Preparation course and are proud to boast a 95% pass rate! You can also prepare for the Spanish Chamber of Commerce exam, whilst the Business Course in Barcelona is an ideal programme for those wanting to learn more about Spanish business practices and business related vocabulary. We understand how important booking the right type of accommodation can be, so our school in Bareclona offers a range of accommodation options to meet all requirements! All accommodation options are carefully selected to ensure you will never be more than 30 minutes away from the school. 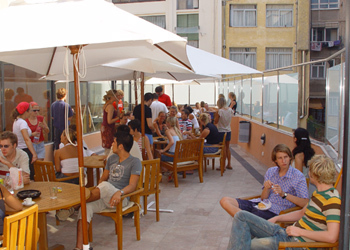 Host family accommodation offers the opportunity to truly immerse yourself in the language and culture, whilst experiencing Barcelona in a unique and local way! If you prefer to stay more independently and would like to prepare your own meals, then you may like to consider our shared apartment accommodation, which is located within very easy reach of our school. Shared apartments are available on a self-catering basis, so you will have access to a kitchen where you can prepare your own meals. We also offer student residence accommodation where you will still live with other students, but meals are included, allowing you to choose between bed and breakfast, half board (2 meals each day) or full board (3 meals each day). Our colleagues at the school in Barcelona will do their best to help you make the most of your time in this wonderful city by offering you the opportunity to take part in the optional activities programme! With typical activities including guided tours of places of interest within the city (such as Park Guëll, the Sagrada Familia and Las Ramblas), flamenco shows, tapas nights and excursions to places such as Montserrat and Sitges, there will be plenty to keep you entertained outside of the classroom! Activities will be conducted in Spanish, so this is a brilliant way of putting into practical usage that which you have learnt in your lessons! 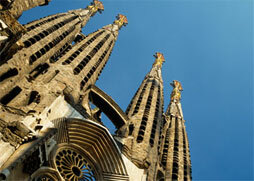 To get to our school in Barcelona, simply fly to Barcelona International Airport (also known as El Prat Airport). We can arrange an airport collection for you, so that you are met at the airport and taken to your accommodation. 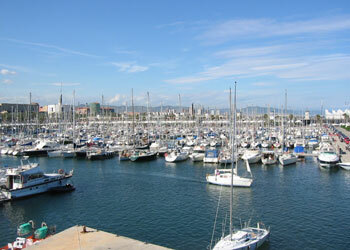 Or, take an airport taxi or the airport bus to the centre of Barcelona. Let us know your arrival time, so that we can ensure that your accommodation is ready for you when you arrive. Average score for our school in Barcelona based on 5 previous client reviews. The instructors were excellent. I enjoyed our topics of conversation and getting to know my fellow students. Antonia was a wonderful host and a great cook. I really felt at home and she was very helpful to me. The course was interesting and the teachers were outstanding but I would have liked a more intensive approach towards the learning. The accommodation was clean and my privacy was highly respected. The kitchen and room helpers were very good. Thank you to the teachers, to the residence assistants and to Apple Languages for providing this experience. I really enjoyed the course, particularly when the lessons were more conversational. Having a range of teachers was also nice. 4 hours of lessons per day was a good amount. I feel I have learned a lot in a short space of time. I stayed with a family. The staff were lovely, friendly and competent. They were always helpful. I especially loved it when the teachers made it so fun to be learning with them. The accommodation itself was lovely. A great location and place to stay. El Caganer – Christmas in Catalonia! 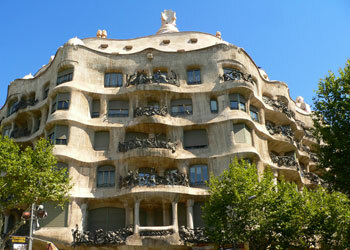 Barcelona – City of contrasts! The Sky is the Limit in Barcelona!